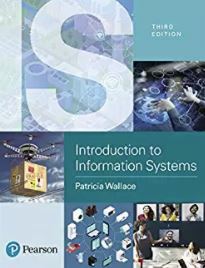 Patricia Wallace is the author of over 40 articles, 3 published software programs, and fifteen books, including Introduction to Information Systems, published by Pearson. 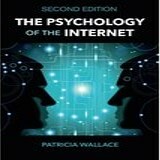 Other works include The Psychology of the Internet and The Internet in the Workplace: How New Technology Is Transforming Work, both published by Cambridge University Press. Her works have been translated into many other languages such as Italian, Japanese, Chinese, Korean, Estonian, Spanish, Hungarian, and others. Dr. Wallace's educational background and career span technology, psychology, business, and onliine education. She has held positions mainly in academic settings, most recently at Johns Hopkins University Center for Talented Youth, where she headed online programs and IT. Prior to joining Johns Hopkins, Wallace was Chief, Information Strategies, at the Smith School of Business, University of Maryland, College Park, where she headed a research center on knowledge management and also led the IT department. Prior to that position, she was Chief Information Officer and Associate VP at University of Maryland University College, where she was closely involved in UMUC's efforts to build and launch the worldwide, virtual university. Currently, Dr. Wallace is Adjunct Professor in the Graduate School, University of Maryland University College, teaching courses in information systems and technology management. 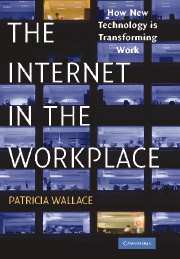 Wallace's work focuses on the transformative role of digital technologies and their impact on business, human behavior, and society. She has taught courses in psychology, information systems, and technology management throughout her career as a full-time or adjunct faculty member, and has led many executive leadership seminars. As principal investigator on several grants, she has conducted research and developed software for virtual learning environments. Patricia Wallace holds an M.S. 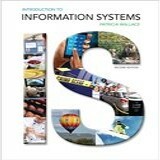 in computer systems management from the University of Maryland University College, Graduate School of Management and Technology. She earned her Ph.D. in psychology at the University of Texas at Austin, and attended Rice University as an undergraduate..
How Are Digital Natives Using Technology? This project explored how youth are adopting digital technologies at home, at school, and as mobile devices. It investigated how students perceive the role that information and communications technologies play in their own lives and the lives of their families, friends, and teachers. The project also explored how students engage in social media, virtual worlds, and mobile environments. Technologies include computers, mobile and smartphones, videogames, music players, game consoles, graphics tablets, and other devices.